BioHPP® is the most stable non-metal material in dental medicine – and the most widely used high performance polymer in dentistry. 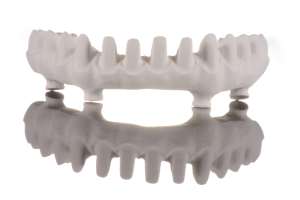 Based on PEEK, BioHPP® is a ceramic-reinforced high performance polymer and provides the ultimate alternative to rigid framework materials. Can be dry milled using bre.cam cutter tools – the patented relief cut prevents over heating and achieves a sharp, clean milled finish. 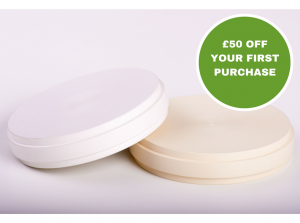 Now is the perfect time to try BioHPP® milling discs with £50 off on your first order.